We bettered ourselves in 2005 ... with back-to-back wins in a large regional drag race (Survival of the Imports) and another SCCA hill climb. Again, these events happened within 7 days of each other and the only change was tires. · Hill climb: Won the PHA SCCA SM2 Championship and set 4 new class records! 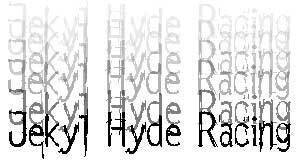 Please, take some time and browse Hyde's rich racing history.